Central Park After-School Program Fun! So many times, we get asked about our after-school programs and what the kids and volunteers spend their time doing. 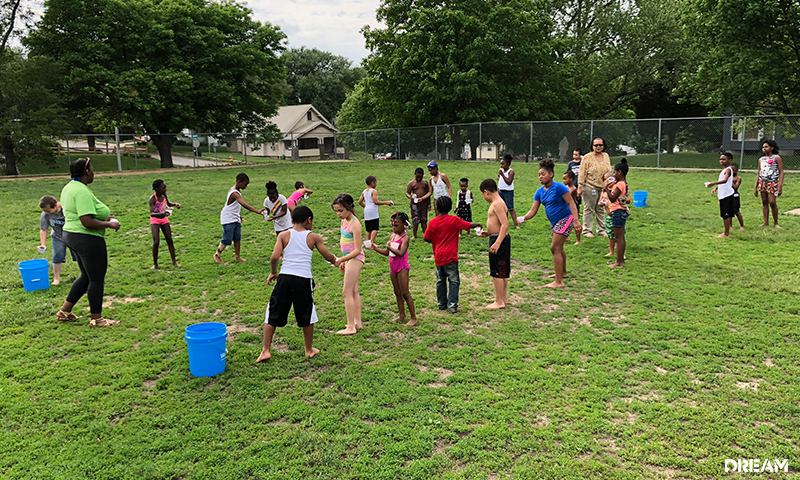 Central Park Elementary School in Omaha, Nebraska, had an all-out water day on their last day of the school year this spring. Staff and students participated in a highly competitive water carrying game, very similar to an egg toss. The goal of the game was to transfer the water with cups from one point of a line to another and to retain the most amount of water when doing so. This is not an easy game, but the kids and the staff all laughed through the soaking! 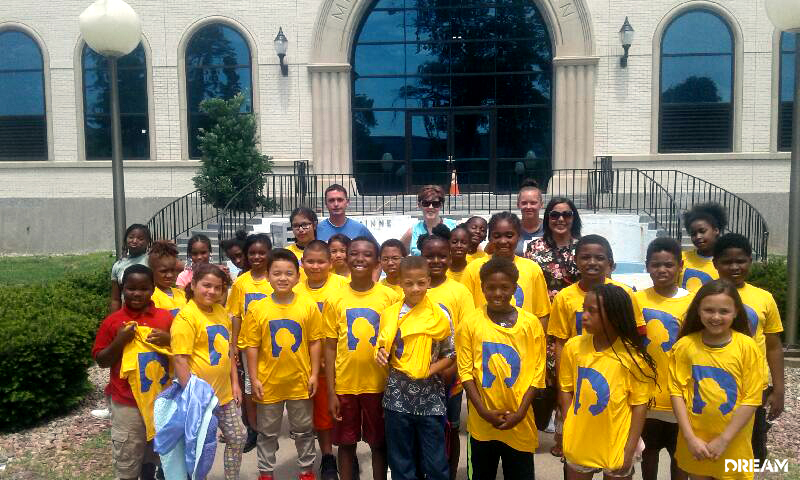 The Central Park students enjoyed visiting the downtown headquarters for Omaha’s Metropolitan Utilities District (MUD). 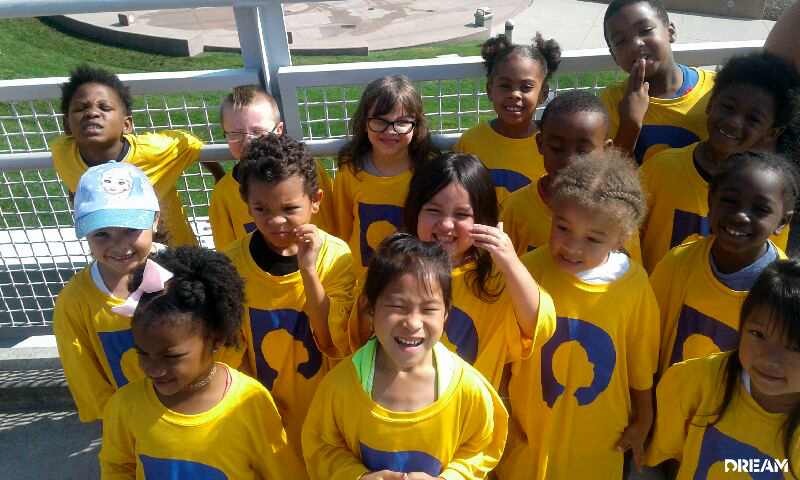 The students also had a chance to tour downtown Omaha and walk the pedestrian bridge. Central Park also visited the Durham Museum, located in downtown Omaha, Nebraska. 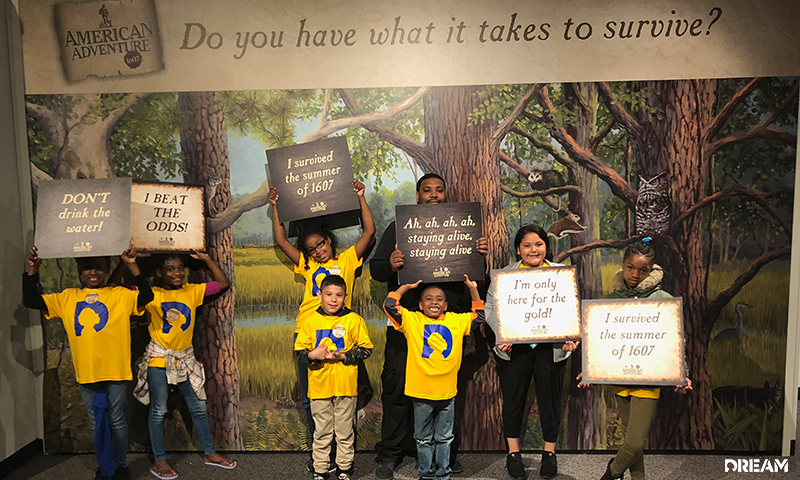 In the American Adventure exhibit, the students were able to experience what it was like to be some of America’s first European colonists in Jamestown. The interactive exhibit allowed the kids to take on the roles of the actual settlers. They were able to make choices that could result in the life or death of the Jamestown colonists. Consistent with real-life, only 38 of the 104 settlers survived. This experience tested the students’ survival skills and their knowledge of the uncharted land known as the early Americas. 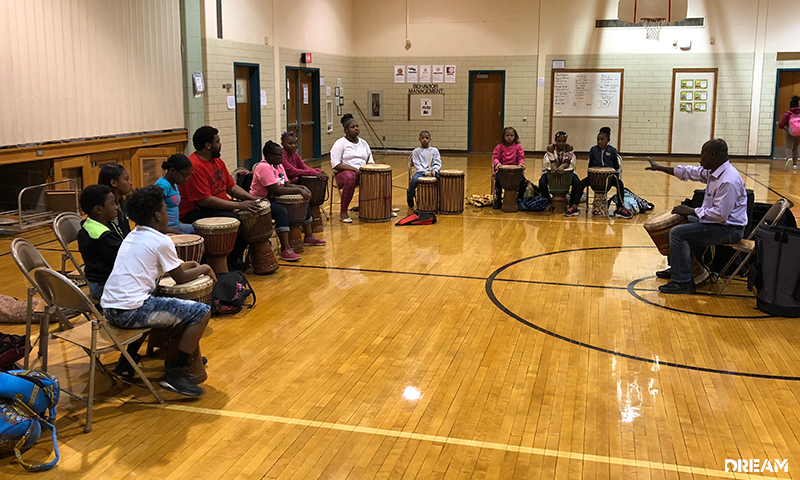 In addition to many other activities, Central Park students learned to play the African drum, as pictured here. 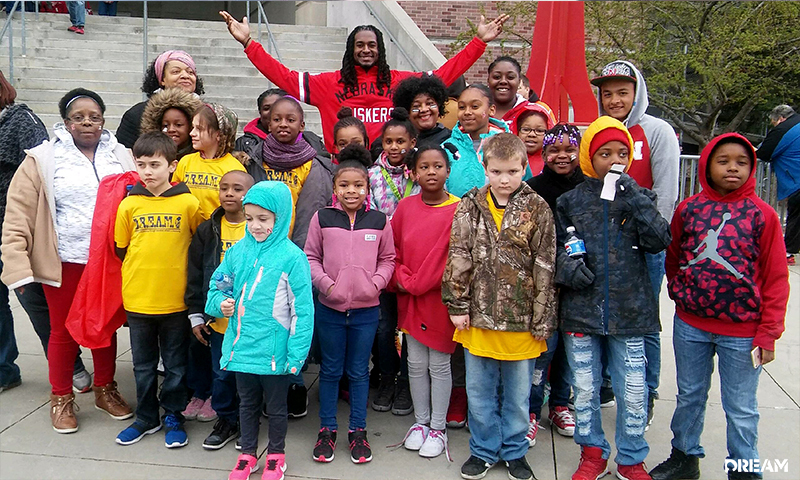 Central Park students also enjoyed a trip to Lincoln to see the 2018 Red-White game. 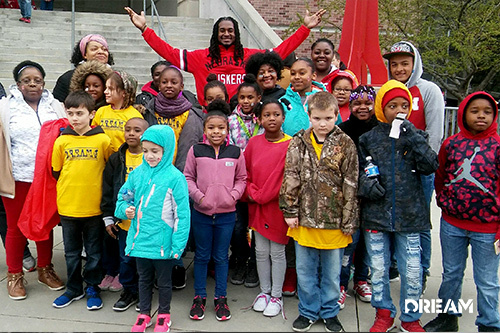 The kids were able to enjoy the true Husker experience as they joined thousands of other fans in Memorial Stadium. The students cheered from the sidelines as they got to watch some of the big names of Nebraska football battle it out for starting positions for next season’s schedule. 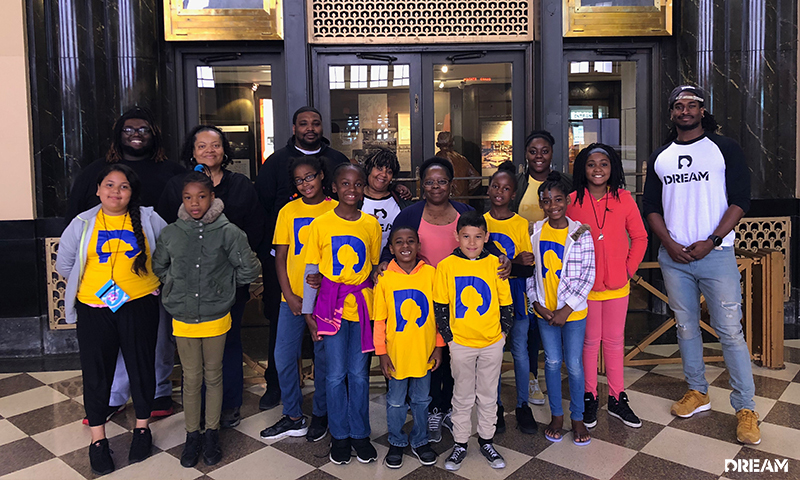 DREAM provides life-changing and life-enriching experiences to at-risk youth through mentoring and after-school programs in Omaha, Nebraska, and Springfield, Missouri. Their proven approach puts children in a comfortable setting where they’re encouraged to discuss openly, learn, and grow as individuals. Are you interested in getting involved with DREAM? Contact us today.